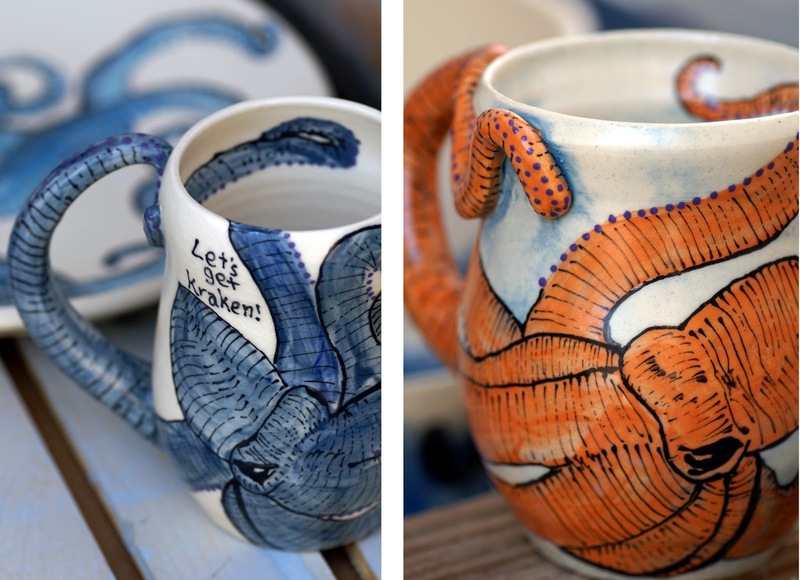 Masterly Hand Thrown, Formed & Painted Mugs, Bowls & More. 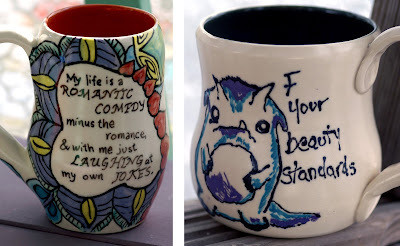 Pottery Painted with Personality & Fun References to Pop Culture. In many ways, Practice can lead to "Perfection," but in Art, that is rarely the goal. No masterpiece should be deemed perfect because that is not the best standard to judge what is created to be beautiful and unique. As crafters like Morgan McBride know, practice in Art makes you not perfect, but instead more skilled with your chosen medium, more adaptable to unexpected results and more open to evolving your style over time. Ever in a state of practice, Morgan is a ceramic artist with a love of porcelain. This material is different than other types of clay with its milky white color and superior durability, but it also comes with unique challenges. As Morgan states, "you have to develop a relationship with porcelain" to achieve the desired form, working it into shape on a wheel and then adding finishing touches. Morgan has spent a good amount of time learning the chemistry behind ceramics, things like the composition of clay and how it reacts to heat in a kiln, which undoubtedly gives her a leg up in her art. 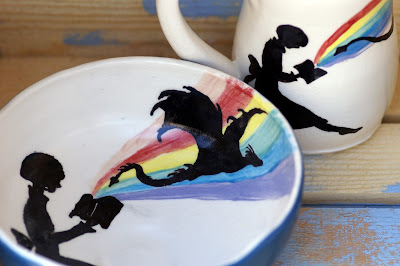 While she makes a lot of common, everyday objects, mugs and bowls specifically, what I love about each one is how different they are. Thanks to Morgan's addition of hand formed flourishes and hand painted designs, her pieces often embody a character or tell a story. She loves to reference figures from her childhood as well as those from today, anything that makes her smile. When you see the array of whimsical animals, sweet scenery and nerd pop culture icons, you'll have a hard time not smiling too. 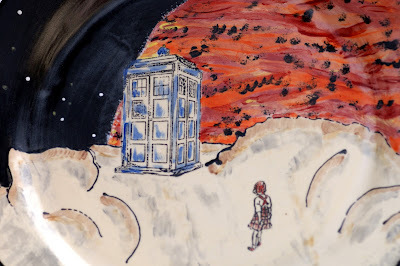 Morgan takes great care at every stage from shaping to glazing, and her well practiced craftsmanship really shows. Please keep up the joyful and successful practice of you art Morgan!